Perhaps better known as ‘Champs’, Richard Champion played 183 games over a 14-year career including 10 with the Brisbane Bears/Lions. Three times finishing in the top six vote-getters of the club’s best and fairest count, he won Most Professional player and Best Clubman awards with his time at Brisbane. Multi-talented and always part of club’s off field activities, Richard won the Seven Network’s AFL Talent show with an incredible Jimmy Barnes impersonation. He would later go on to appear in the network’s It Takes Two. Richard features on a number of radio shows but saves his best work for The Great South East and Creek to Coast on Channel 7. 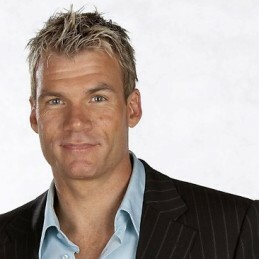 He is also part of the broadcast team for Brisbane Lions home games. Highly competitive and a fitness fanatic, Richard never backs away from a challenge. He has a love of golf and plans to call Brisbane home with his wife Anne-Marie and daughters Georgia and Grace. Richard is a very entertaining and in-demand speaker, sharing his experiences of life in football.